from Eger on the motorways M3 and M7. There are regular buses to Keszthely and Hévíz from each corner of the country. Almost every coach service stops in Balatongyörök. There are train services to Keszthely from any town in the country, where you can change for another train towards Tapolca or a bus which takes you to Balatongyörök in about 10 minutes. This “dream in reality” is located in one of the finest areas of the shore. Its magic is created by the always renewing and manifold beauty of the natural landscape, the untouched nature and the surrounding mountains. If you wish to relax, here you will certainly find the peace and quiet you long for, yet the place offers a wide variety of leisure activities as well. Those who prefer activity holidays can swim in Lake Balaton and may enjoy water sports, such as sailing, surfing and pedal boating or more traditional sports, including cycling, football, tennis and volleyball. The forests of the neighbourhood are perfect for excursions, there are historic sites to visit (the Roman spring, the ruins of the Roman villa, the Church of St. Michael), and beyond these the region also offers numerous programmes and festivals like Street dances, Midsummer night party, Wine festival and Convivial Wine Song Festival. The restaurants of the region provide a choice of local wines and gastronomic delicacies. For those interested in cooking, there is a chance to try themselves by joining a local cooking contest. Balatongyörök is a settlement where harmony meets beauty, old and modern mingle, and nature is completed by traditions. This perfect combination makes it the pearl of Lake Balaton. The name of the settlement originates from Gyürk, the pet name version of George. Balatongyörök was the first settlement in Hungary to win a Europe-award on the competition for Florale Europe. Hotel PanorámaBalatongyörökPetőfi u.5. Andrea ApartmanBalatongyörökEötvös Károly u. 70. Villa AstoriaBalatongyörökMogyorós utca 26 Albergo Giardino H…BalatongyörökKossuth L. u.87. Karát PanzióBalatongyörökÜsth Gyula u. 67. Leitner houseBalatongyörökZsölleháti u.4 Anna ApartmenthouseBalatongyörökEötvös Károly utca 17 Kaméleon Hostel Ba…BalatongyörökPetőfi S. u. 8. Major ApartmenthouseBalatongyörökKossuth L.u.43. Samu ApartmentBalatongyörökSzilváskerti u. 7. 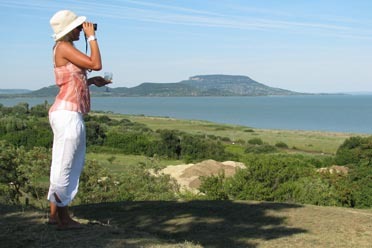 Carina CampingBalatongyörökBalaton út 12. Villa BellevueBalatongyörökSzent István u.66. Kék HouseBalatongyörökÜsth Gyula u. 146/21. Szabó GuesthouseBalatongyörökKossuth Lajos u.93. (hu) Leitner Apart…BalatongyörökKossuth Lajos utca 96. Welcome GuesthouseBalatongyörökKossuth Lajos utca 77. Klaudia Apartmenth…BalatongyörökMogyorós utca 5. Mariann HouseBalatongyörökÜsth Gyula utca 17. Afrodite Apartment…BalatongyörökEötvös utca 65. Frankie Holiday Ap…BalatongyörökKossuth Lajos utca 77.